Mickey Mouse shows off some classic style on this Walt Disney World ''Chalkboard'' Tee that's perfect for touring in. 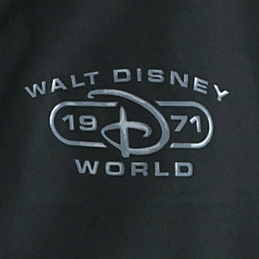 When the weather gets wet, put on the anorak style windbreaker with a Walt Disney World logo "for blustery days in the Magic Kingdom and beyond." Stash your gear in the black and white backpack, and top it all off with a stylish black cap embroidered with everyone's favorite mouse. 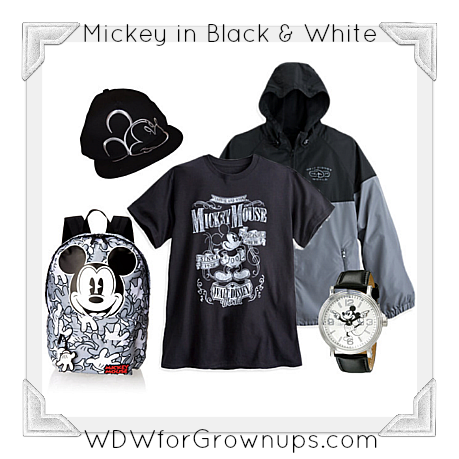 We've found a black and white Mickey watch at a reasonable price to pull it all together. Cute! I love the watch.